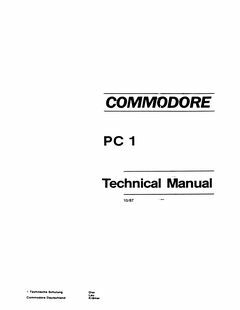 Added ‘Commodore PC 1 Technical Manual’ with thanks to Ove Mejlgaard. 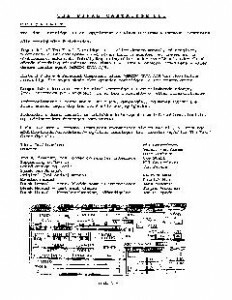 A year ago I created this document. Today I made a small update. 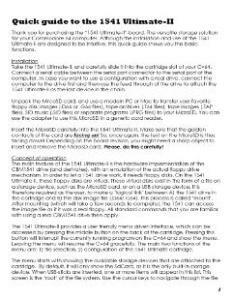 Appendix C added – turbo cartridges tested. Gideon was so kind to give me permission to add his documents here. 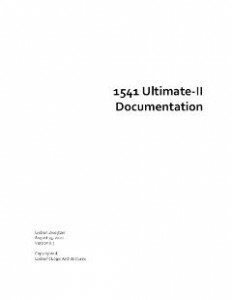 The 1541 Ultimate-II Documentation and the Quick Guide for rev 2.6k is now added. 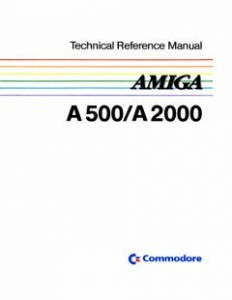 The Technical Reference Manual for the Amiga 500/2000 is now added to the site. Please make note that the schematics are A3 in size, thus larger than the regular pages which are A4. 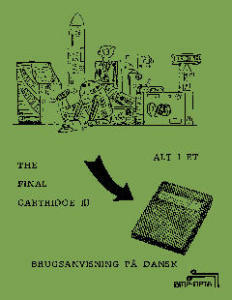 Morten Overgaard Hansen was so kind to borrow me these two The Final Cartridge III manuals. The first was the official (A4 size), at least that was the one I got when I bought my TFC3 cart. The second (A5 size) is from BMP data. Could this be from a time before the law changed -that hardware and software should have a Danish manual-? And BMP data just wanted to provide an excellent service? 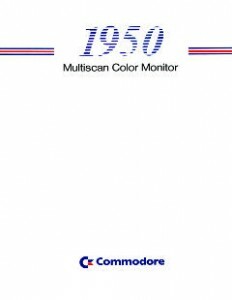 The manual for the Commodore 1950 Multiscan Color Monitor is now added. 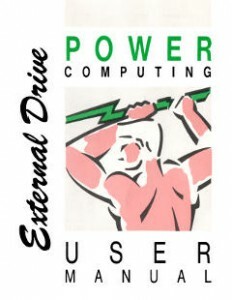 Power Computing External Drive User Manual. 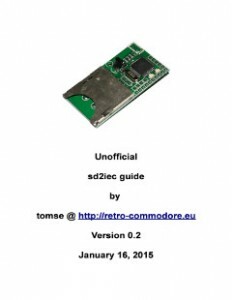 The manual covers 5 drives, PC720/PC720E for the Atari and PC880, PC880B and Dual drive for the Amiga. The PC880B has some nice features like hardware antivirus (write protection for the bootblock), used as a drive for backing up diskettes using only the BLITZ software. Really interesting! Thanks goes to RetroPlay for scanning this. 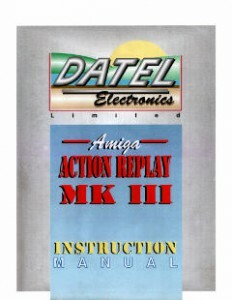 Action Replay MKIII Manual is now added. 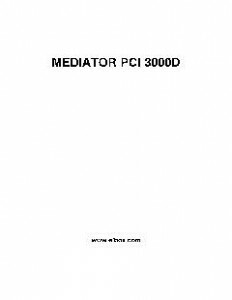 Mediator PCI 3000D manual from Elbox added. 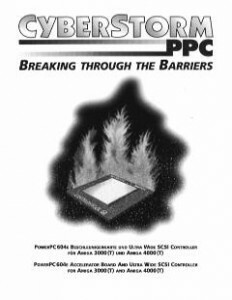 The Cyberstorm PPC manual from Phase5 is now added.